GRAND OPENING! THE BEETHOVEN IS A TOWNHOME THAT LIVES LIKE A SINGLE FAMILY HOME. NEST THERMOSTAT AND WI-FI ENABLED GARAGE OPENER INCLUDED! ON THE MAIN LEVEL, A HUGE EAT-IN KITCHEN, GRANITE INCLUDED, WITH ISLAND PROVIDES ROOM FOR COOKING & ENTERTAINING THE LARGE LIVING ROOM IS OPEN TO THE KITCHEN AND INCLUDES A CONVENIENTLY LOCATED POWDER ROOM. A COMPOSITE BALCONY IS JUST OFF THE KITCHEN. THE UPSTAIRS HAS 3 BEDROOMS WITH SEPARATE HALL & OWNER’S BATHS. YOUR OWNER’S BEDROOM FEATURES A LARGE WIC & TRAY CEILING. A CONVENIENT LAUNDRY CLOSET FINISHES THE UPPER LEVEL. 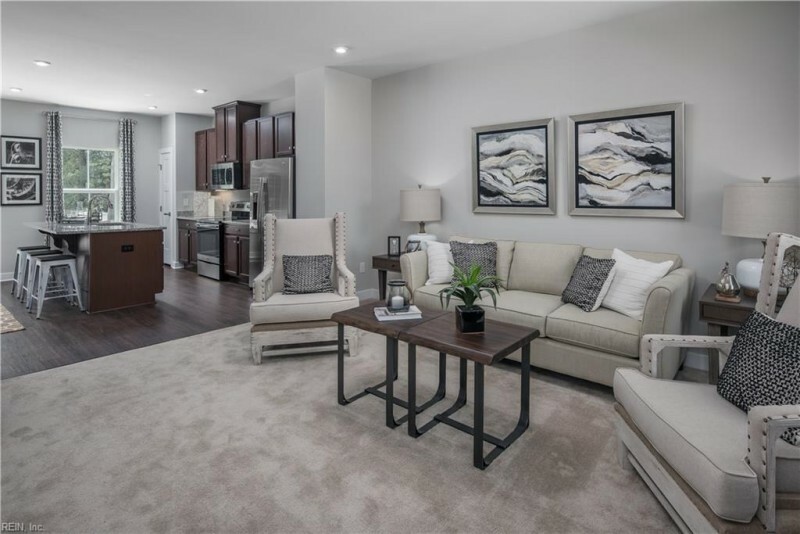 THE BEETHOVEN FEATURES A REC ROOM ON THE LOWER LEVEL WITH WALK-OUT ACCESS TO YOUR BACKYARD! A ONE-CAR FRONT-ENTRY GARAGE IS INCLUDED! LOW-MAINTENANCE COMMUNITY WITH RIVER VIEWS IN NORFOLK. ENJOY A POOL, CLUBHOUSE & GARAGE TOWNHOMES WITH PRIVATE BACKYARDS. UNIQUELY LOCATED NEAR I-64, I-264, AND LESS THAN 2 MILES TO NAVAL STATION NORFOLK WITH VIEWS OF THE LAFAYETTE RIVER. Ready to visit MM BEETHOVEN AT WESTPORT OFF GRANBY? Request a free property tour! Send me more information about the listing at MM BEETHOVEN AT WESTPORT OFF GRANBY, Norfolk, VA 23505, MLS# 10240127. This 3 bedroom, 3 bathroom home located at MM BEETHOVEN AT WESTPORT OFF GRANBY, Norfolk, VA 23505 has approximately 1,690 square feet. It is currently listed for $269,990 and has a price per sqft of $15,976. This home is currently Active under the MLS#: 10240127. This listing is provided by Rose & Womble Realty Company. MM BEETHOVEN AT WESTPORT OFF GRANBY , Norfolk was built in 2019. It has Garage Att 1 Car, Unit Gar, 1 Space, Off Street parking.The kitchen includes Dishwasher, Disposal, Energy Star Appliance(s), Microwave, Range, Refrigerator. MM BEETHOVEN AT WESTPORT OFF GRANBY is part of the Westport neighborhood located in 23505.